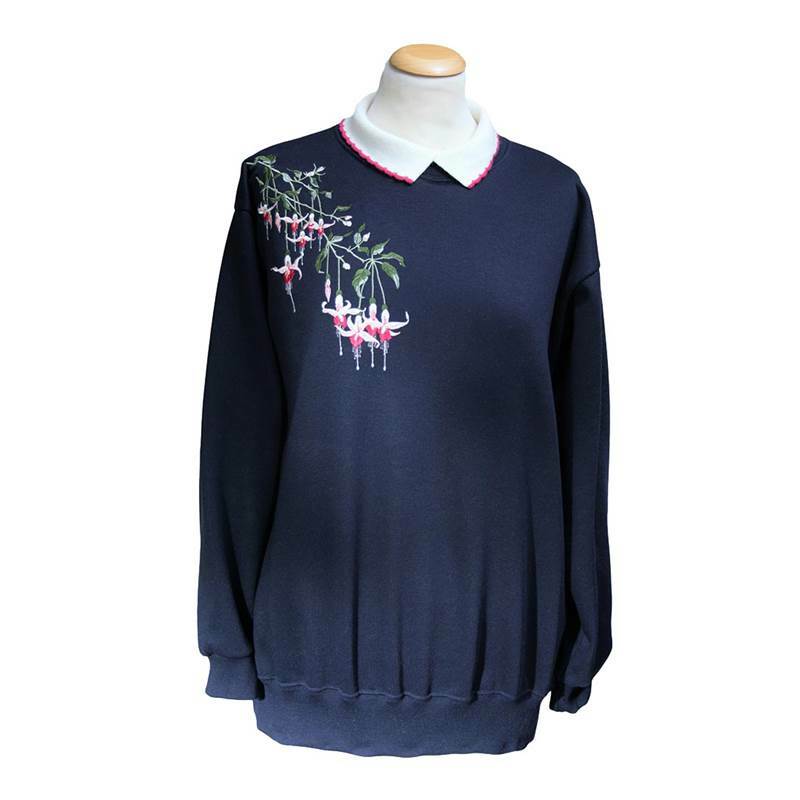 Ladies embroidered 'Fuchsia' crew neck sweatshirt with knitted collar. 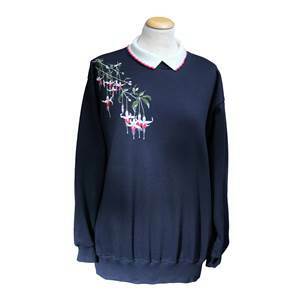 This garment is made from a cotton/mix sweatshirting fabric. Machine washable.